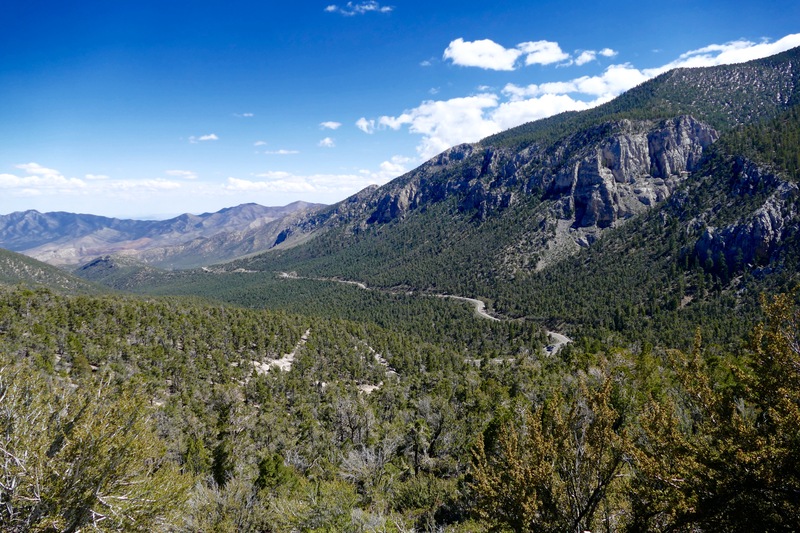 The conditions in the Spring Mountains can change season to season, week to week, and even hour to hour. Closure types and reasons may vary but not following them can result in injury, fines, or even death. Heavy snowfall can create a serious risk of avalanches. The ski resort grooms their slopes to reduce the possibility of an avalanche, however there is no way to completely eliminate it in groomed or natural areas. 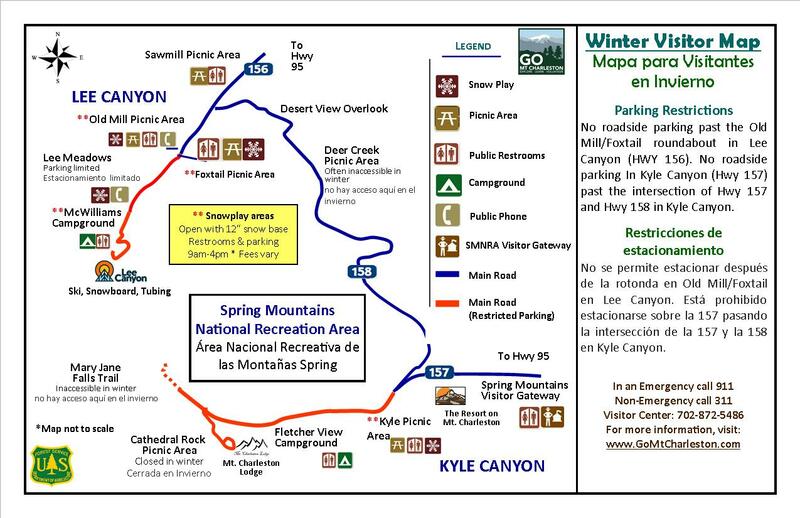 If there is a closure order put into effect in the Spring Mountains, it will be linked here. - There are no notable wildfires in the Spring Mountains currently. Please follow the Humboldt-Toiyabe National Forest's Facebook page for updates. Weather patterns in the Spring Mountains can be drastically different than what the Las Vegas Valley experiences. Our Weather page offers multiple tools, tips and webcams to monitor conditions and forecasts. The National Weather Service has additional information and webcams. - Long term ammo type and target type restrictions are in effect against use of tracer ammo and explosive targets in the Spring Mountains National Recreation Area. It is quite a sight to turn a corner and see a burro crossing the road, or walk into a clearing and find wild horses grazing. These animals are protected under the 1971 Wild Free-Roaming Horses and Burros Act, and interfering with, handling, and feeding them is illegal. Besides the hefty fine, there is a high risk of being bitten or trampled because they are wild animals, so please keep your distance. Roads, recreation sites, and trails are subject to closure throughout the year for safety and seasonal reasons. Check NDOT and Twitter for updates during active floods, fires, and snow events. - Harris Springs to Griffith Peak roads and trail continue to be closed from major damage caused by the Carpenter 1 Fire and subsequent flooding.